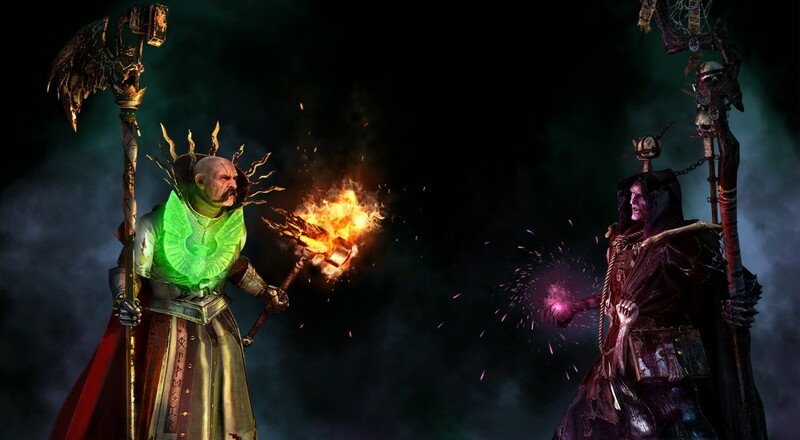 The "Grim and the Grave" DLC for Total War: WARHAMMER dropped yesterday, bringing with it two new Legendary Lords for the Empire and Vampire Count factions, new units, and a handful of other goodies. Along with that new content, Creative Assembly released some more "free-LC" in the form of a Legendary Lord for the Vampire Counts: Vlad von Carstein. This vampire lord has his own skills, abilities, and quest chain to unlock a couple of unique items. Along with Vlad, five new battle maps have been added for use within Custom and Multiplayer battles, as well as a whole slew of tweaks and balances that are detailed over in the Total War Wiki. All of this is added to the game regardless of whether you buy the "Grim and the Grave" DLC. The "Grim and the Grave" Lords pack is available for $7.99 on Steam as an add-on to Total War: WARHAMMER. Page created in 0.5008 seconds.